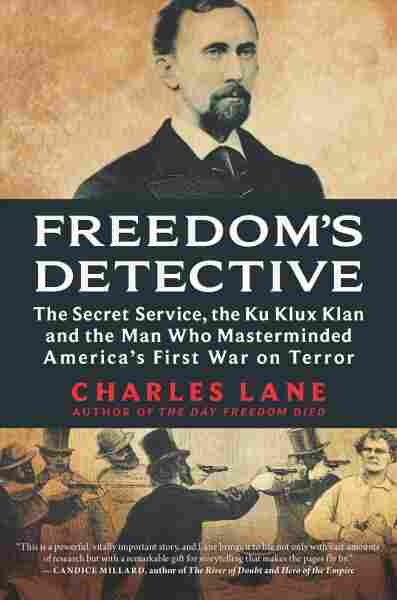 In Charles Lane's Book 'Freedom's Detective,' Hiram C. Whitley Infiltrates The KKK Journalist Charles Lane's account is endlessly gripping — and he does an excellent job of placing the operation in historical context, chronicling racism and resentment in the South post-Civil War. But for a period of time toward the latter years of Reconstruction, the Secret Service took on another kind of mission: infiltrating the Ku Klux Klan, the white supremacist hate group that was founded in the months following the end of the Civil War. The operation that sought to end the Klan's terror campaigns were spearheaded by a man named Hiram C. Whitley, the subject of a fascinating new book, Freedom's Detective, by Washington Post editorial writer and former editor of the New Republic Charles Lane.